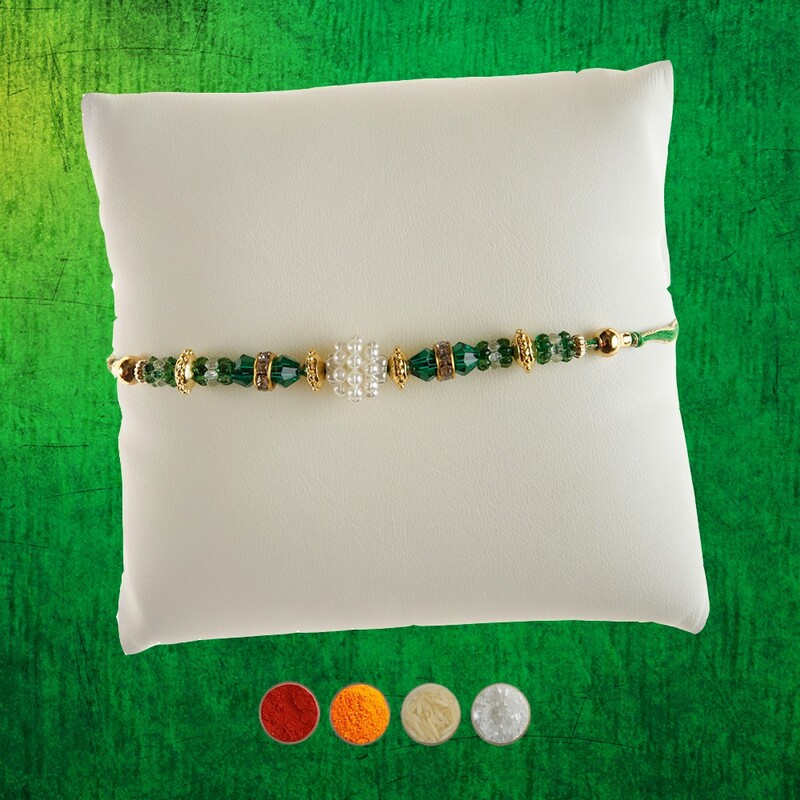 Adorn your brother wrist with this elegant green beads rakhi that is a perfect rakhi for your elder or younger brother. 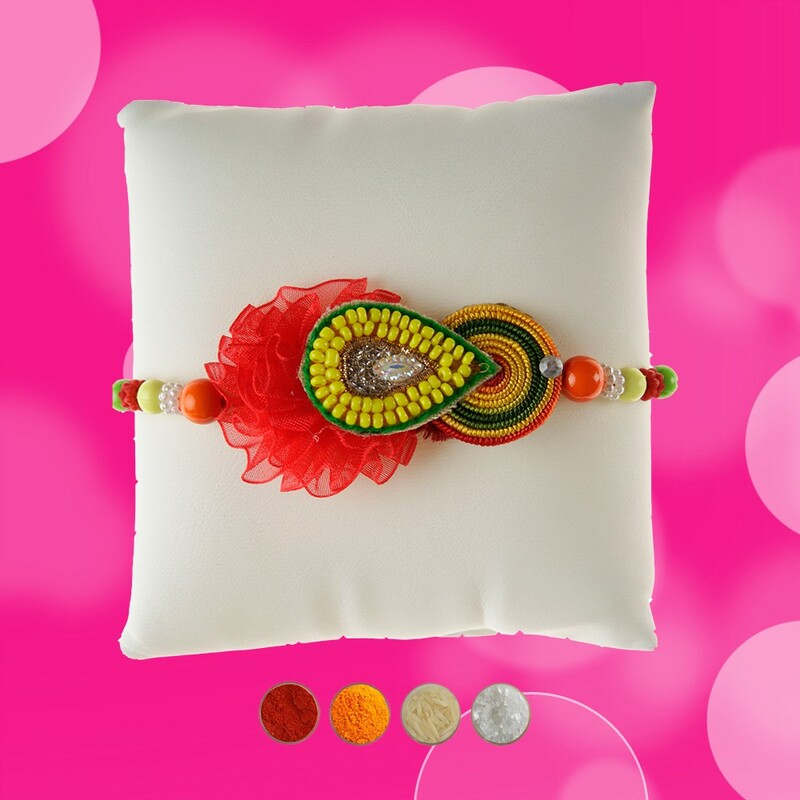 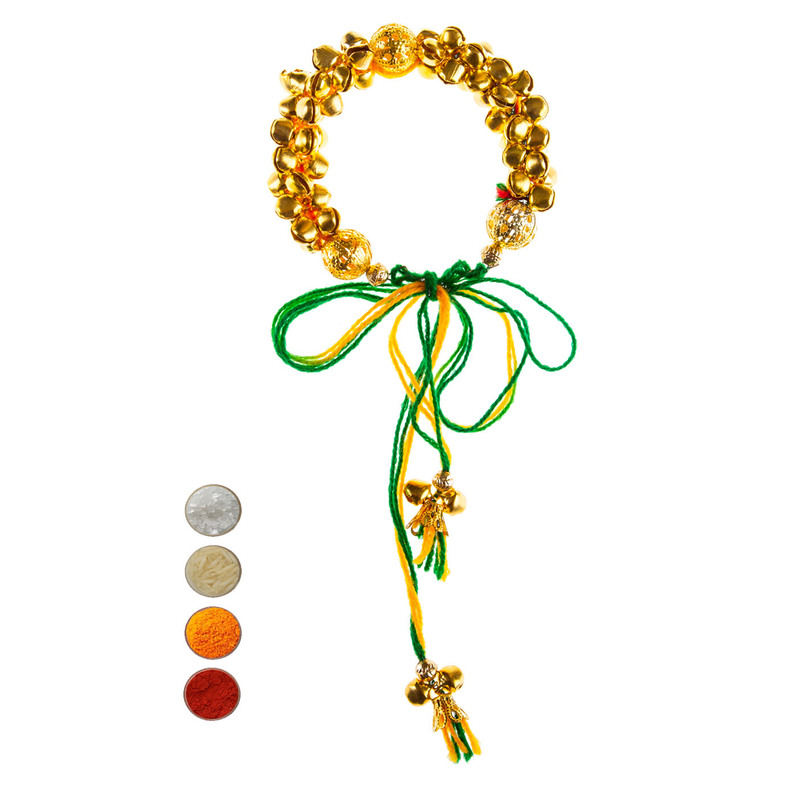 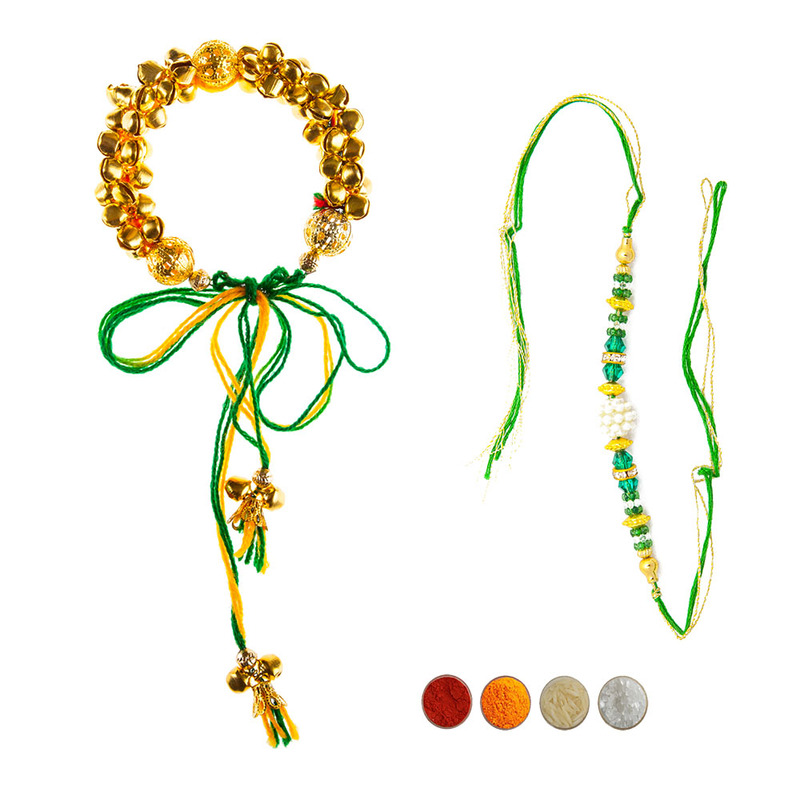 This rakhi has a green color base and is decorated with the green beads and artificial crystals and golden beads. 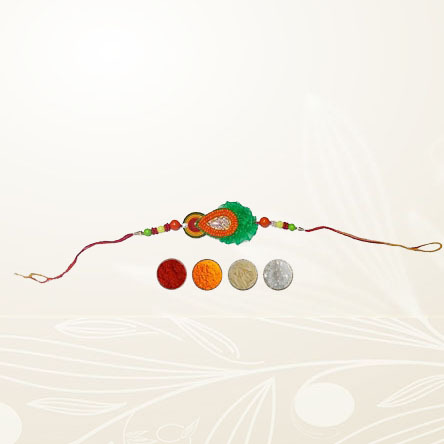 The center of the rakhi is decorated with a white color bead and the thread is also green that makes the rakhi look more elegant and wye catchy.